When all the senses are engaged guests experience a sense of belonging… this is a hallmark of authenticity. Authentic. We hear that word a lot. Especially in marketing and branding aimed at guests at or below the median US age, 37.5 years. You know the labels. ‘Authentic’ practically has its own brand – real, made by hand or with natural materials, standing for something, honest, reflective of its community, imbued with story. Restaurant NEXT is more than good food and service. The aura is subtle, intangible, highly connected. Location isn’t just about visibility, access and trade area; it’s about neighborhood roots, culture, vibe and giving back. When all the senses are engaged, the result is a sum greater than its parts. Guests experience a kind of belonging and feel connected from the heart, mind and memory. This is a hallmark of authenticity. At a recent ICSC conference [International Council of Shopping Centers] I joined a round table led by two restaurant founders, Michael McHenry of Even Stevens and Lauren Bailey of Postino. Their businesses lie on different points of the quick service to fine dining spectrum, yet they are very similar in their careful brand development. 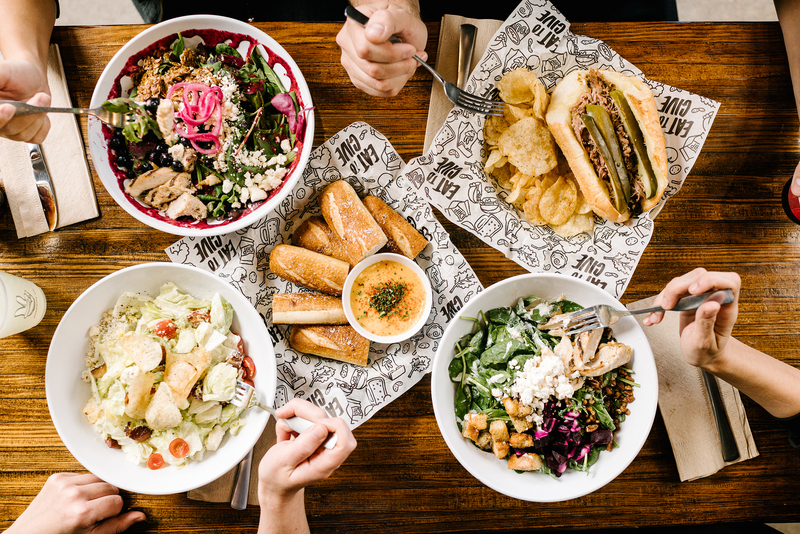 Even Stevens is a fast-casual sandwich shop that seeks to deliver an ‘artful, outstanding 20-minute dining experience’ backed by a strong creed of giving back. From its founding in Utah, Even Steven’s has grown in Arizona, Colorado, Idaho, Texas and Washington. Postino is a wine and food café based in Phoenix with stores in Arizona, Colorado and Texas. Emphasis is on ‘inspiring yet familiar surroundings, high quality, approachable wines…’ Both remain privately owned with no interest in franchising. Postino looks for vintage buildings in urban, lifestyle neighborhoods. Even Stevens locations are 70% older buildings and all spaces ‘come with a twist’. Their mix of spaces is urban and visible suburban. Neighborhood also means community. “Even Stevens gives a sandwich to a local non-profit for every sandwich sold, sharing a future with the places we do business in, and creating sustainable change for the people who live there.” Wow. Nothing short of inspiring! Each Postino is purposefully unique and you will find rich, layered textures and materials alongside one of kind art installations. Accents include compositions of framed mirrors, a wall of stacked books, a veritable bonfire of matchbook covers (matches removed), sumptuous chandeliers and pendant lighting, and ever-present wine displays. These visual vignettes meld together into a feast for the eye. Every detail has intention – from the ingredients, hospitality, to the art and music. The details are the difference between good and great. 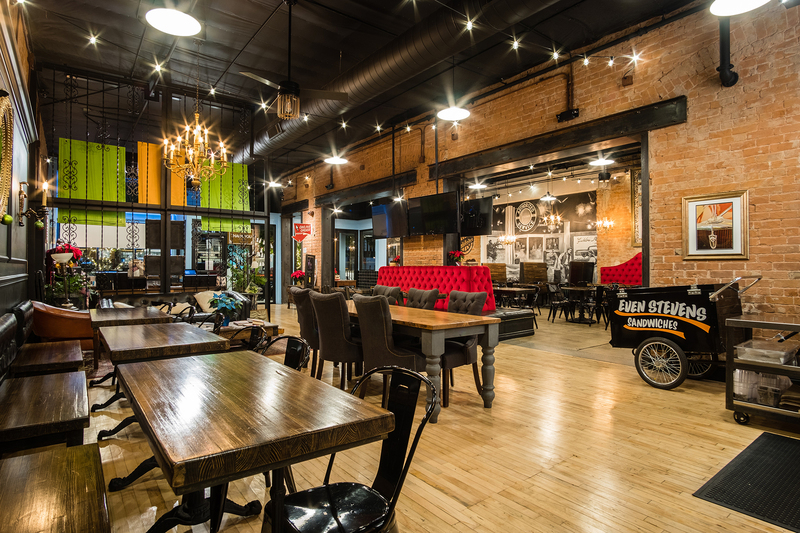 UpwardProjects.com – a restaurant group that includes Postino, Windsor, Churn, Federal Pizza and Joyride Taco House. Step into an Even Stevens to see unique art, wall-size murals, ceiling finishes, furnishings and lighting working together to create a space that feels like a single entity from a superb mesh of individual statements. 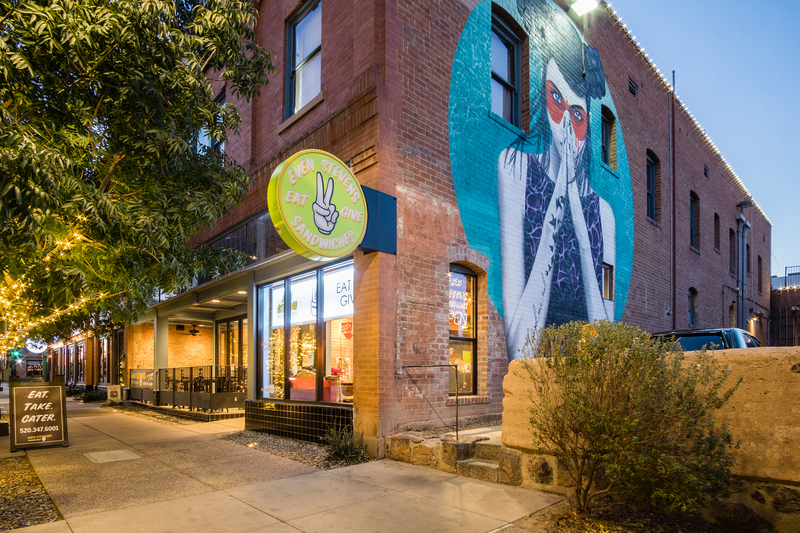 From urban storefronts to stand-alone venues, Even Stevens celebrates and reflects the local communities they are located in. Food and presentation are also reflected in experiential design! 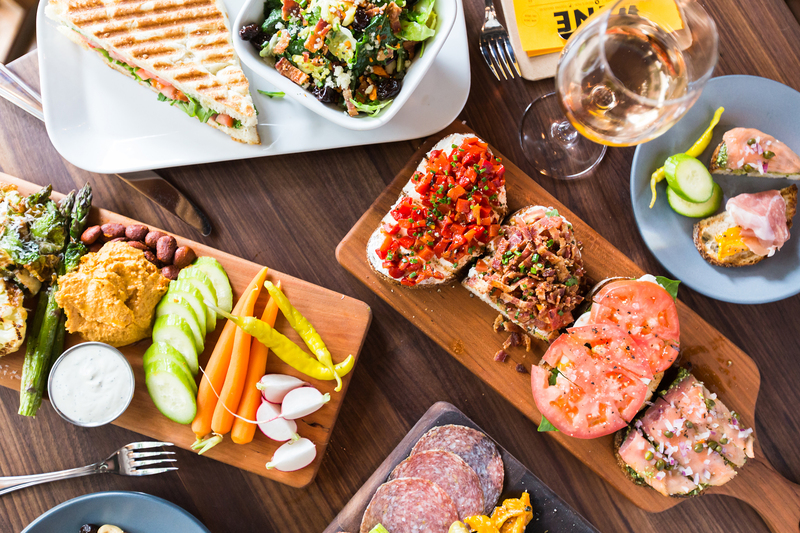 Postino serves artfully crafted small plates including bruschetta, spreads, olives and salads. The colors and arrangement of the ingredients add to the experience. The décor with its multi-visual facets reflects the energetic variety of the food. At Even Stevens paper-lined pie-tins serve up sandwiches and present an array of side dishes. The uniform presentation focuses attention on the food. While anything but uniform, the interior design is more about wholistic linkages from space to space and art installations than individual segments. It is a true celebration of the local community. Craft has a story to tell, and by serving up fresh perspectives on traditional recipes, we get to be a part of it… we treat every menu item like a conversation. A tastemaker is a person who decides or influences what is or will become fashionable. Thus, a tastemaker neighborhood is attracting tastemakers and leading trends. Whether targeting an established tastemaker neighborhood, or looking to be the neighborhood tastemaker, a Restaurant NEXT seeks to attract a group of carefully crafted persona. Part data, part art and part conjecture. The trick is to set a thoughtful target and flex around actual results. 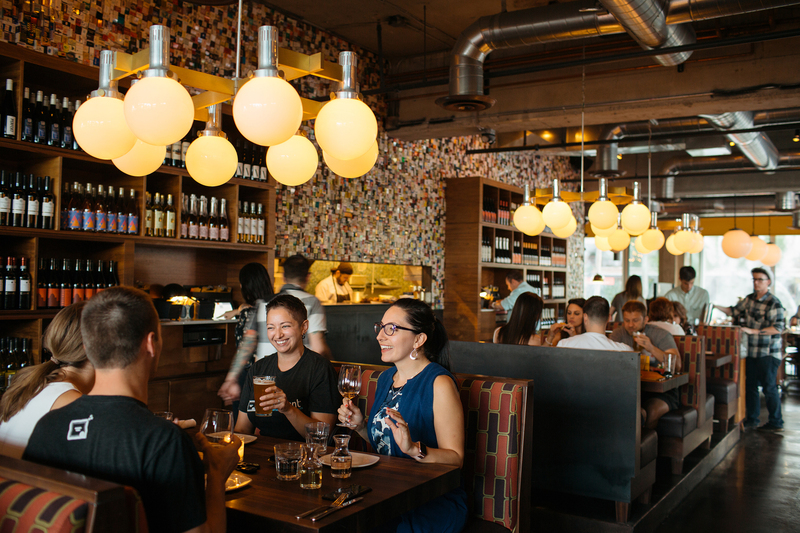 Postino opened a wine bar in a college neighborhood in Tempe, Arizona where bystanders said it would be too expensive to succeed. Apparently, students and professors, etc. are good with good wine. That store is Postino’s most successful. Stories abound regarding Fast Casual 2.0. It’s a reasonable concept, yet limiting. Restaurant NEXT helps define a movement of experientially crafted restaurants, regardless of style or niche.